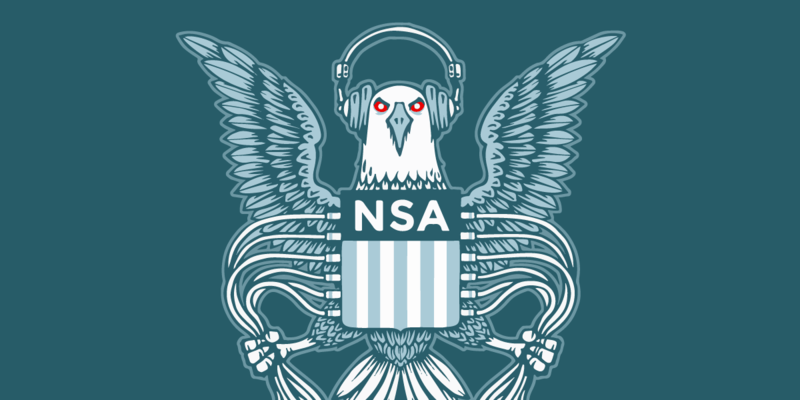 UPDATE, January 12, 2018: The Senate could vote Tuesday on a disastrous NSA surveillance extension bill that violates the Fourth Amendment. Click the link at the bottom of the page to email your Senator today and tell them to oppose bill S. 139. The House of Representatives cast a deeply disappointing vote today to extend NSA spying powers for the next six years by a 256-164 margin. In a related vote, the House also failed to adopt meaningful reforms on how the government sweeps up large swaths of data that predictably include Americans’ communications. Because of these votes, broad NSA surveillance of the Internet will likely continue, and the government will still have access to Americans’ emails, chat logs, and browsing history without a warrant. Because of these votes, this surveillance will continue to operate in a dark corner, routinely violating the Fourth Amendment and other core constitutional protections. This is a disappointment to EFF and all our supporters who, for weeks, have spoken to defend privacy. And this is a disappointment for the dozens of Congress members who have tried to rein NSA surveillance in, asking that the intelligence community merely follow the Constitution. Today’s House vote concerned S. 139, a bill to extend Section 702 of the Foreign Intelligence Surveillance Act (FISA), a powerful surveillance authority the NSA relies on to sweep up countless Americans’ electronic communications. EFF vehemently opposed S. 139 for its failure to enact true reform of Section 702. Endorses nearly all warrantless searches of databases containing Americans’ communications collected under Section 702. Provides a narrow and seemingly useless warrant requirement that applies only for searches in some later-stage criminal investigations, a circumstance which the FBI itself has said almost never happens. Allows for the restarting of “about” collection, an invasive type of surveillance that the NSA ended last year after being criticized by the Foreign Intelligence Surveillance Court for privacy violations. Sunsets in six years, delaying Congress’ best opportunity to debate the limits NSA surveillance. You can read more about the bill here. Sadly, the House’s approval of S. 139 was its second failure today. The first was in the House’s inability to pass an amendment—through a 183-233 vote—that would have replaced the text of S. 139 with the text of the USA Rights Act, a bill that EFF is proud to support. You can read about that bill here. The amendment to replace the text of S. 139 with the USA Rights Act was introduced by Reps. Justin Amash (R-MI) and Zoe Lofgren (D-CA) and included more than 40 cosponsors from sides of the aisle. Its defeat came from both Republicans and Democrats. S. 139 now heads to the Senate, which we expect to vote by January 19. The Senate has already considered stronger bills to rein in NSA surveillance, and we call on the Senate to reject this terrible bill coming out of the House. We thank every supporter who lent their voice to defend the Constitution. And we thank every legislator who championed civil liberties in this months-long fight. The debate around surveillance reform has evolved—and will continue to evolve—for years. We thank those who have come to understand that privacy does not come at the price of security. Indeed, we can have both. Thank you to the scores of representatives who sponsored and co-sponsored the USA Rights Act amendment, or voiced support on the House floor today, including Reps. Amash, Lofgren, Jerrold Nadler, Ted Poe, Jared Polis, Mark Meadows, Tulsi Gabbard, Jim Sensenbrenner, Walter Jones Jr., Thomas Massie, Andy Biggs, Warren Davidson, Mark Sanford, Steve Pearce, Scott Perry, Sheila Jackson Lee, Alex Mooney, Paul Gosar, David Schweikert, Louie Gohmert, Ted Yoho, Joe Barton, Dave Brat, Keith Ellison, Lloyd Doggett, Rod Blum, Tom Garrett Jr., Morgan Griffith, Jim Jordan, Earl Blumenauer, Ro Khanna, Beto O’Rourke, Todd Rokita, Hank Johnson, Blake Farenthold, Mark Pocan, Dana Rohrabacher, Raúl Grijalva, Raúl Labrador, Peter Welch, Tom McClintock, Salud Carbajal, Ted Lieu, Bobby Scott, Pramila Jayapal, and Jody Hice. Email your Senator today and tell them to uphold your constitutional rights by rejecting S. 139.